Thanks to its 12 cm depth, this small bore macerator pump for use with back-to-wall and wall hung sanitary ware. The pump can be concealed behind a wall panel. 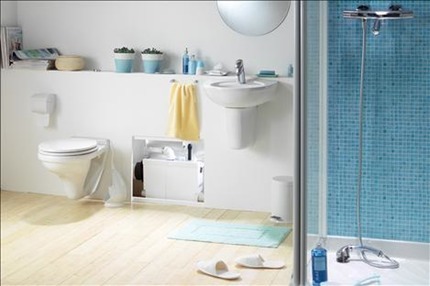 The stylish way to add a shower room, shower unit or even a complete en suite bathroom in a basement or loft extension - or in any home improvement where conventional large bore pipework is impractical.